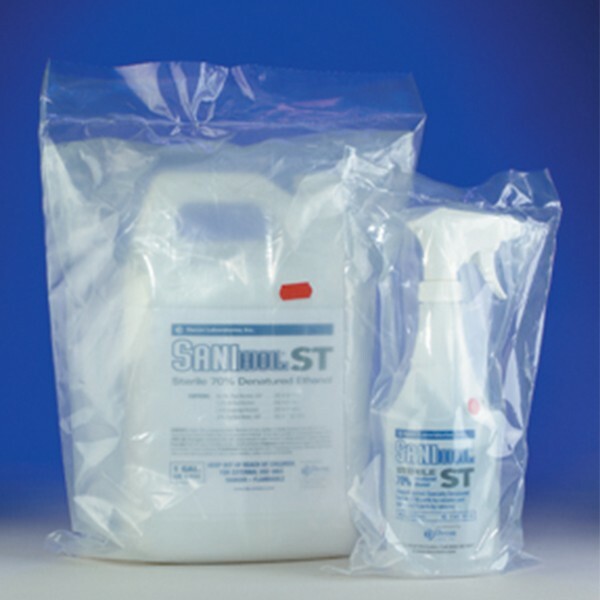 Sterile, ready-to-use 70% denatured ethanol (EtOH) solution designed especially for cleanroom use. Filtered to 0.22µm, individually double-bagged and gamma-irradiated to ensure sterility. Available in non-aerosol trigger spray bottle and gallon size.